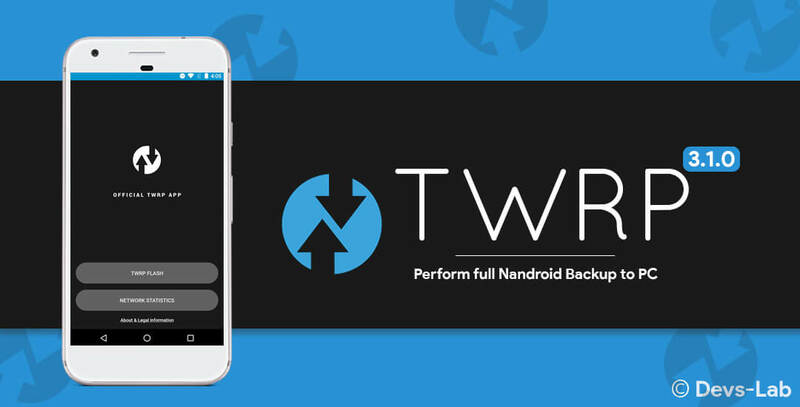 TWRP 3.1.0 prepares for full Nandroid backup to PC. TWRP which stands for Team Win Recovery Project has evolved from being an alternative to ClockworkMod recovery back in the HTC Evo 4G days to becoming the most widely used custom recovery in the Android community. Its feature-set has greatly expanded over the years, and it now supports virtually every device with an unlockable bootloader. The open source project led by TeamWin is always hard at work fixing bugs and porting the recovery to new devices, but work on new features continues behind the scenes. One feature we all have been waiting for and which was already there in TWRP but not in the official release was the ability to make full Nandroid backups to the PC. Version 3.1.0 of TWRP will finally ship with ADB backup support, thus allowing you to make full data/system application backups straight to your computer. ADB backup is a command line tool which allows you to make entire data and system backups, which is what most people seek when performing what’s known as a NANDROID backup. Nandroid backup means the full backup of the phone including user data, application data so when you flash this backup on your phone later than you can get your exact setup back. If you issue the right commands, you can create a backup of your applications and their data without needing root access or a custom recovery. Making regular backups of your data is essential if you are frequently flashing new mods, kernels, or ROMs onto your device. There’s no guarantee when something you flash or something you changed will cause an irreversible bootloop, leaving your only way back to your daily setup a backup made via TWRP. There was a problem in making regular backups because of how much space they take up, I highly recommend you take advantage of this new feature – when it comes out because of backing up directly to your PC. 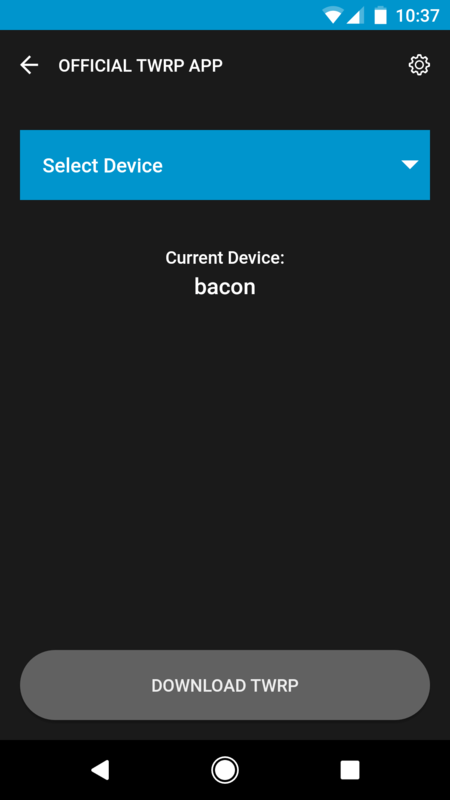 Late last year, the TWRP team finally announced about the release of their Android app. This app would help people with root access to flash custom ROMs, kernels and flashable zip files directly through the app without booting into recovery. In the latest update, the application has undergone some simplifications to make it easier to tell when you are flashing an image and when flashing is successful. Finally, there’s also a change in the background colors so it doesn’t appear as strained to the eyes as it once did. Now, the UI resembles the actual TWRP recovery interface, which we are accustomed to using, is simplistic and is very easy to the eyes. 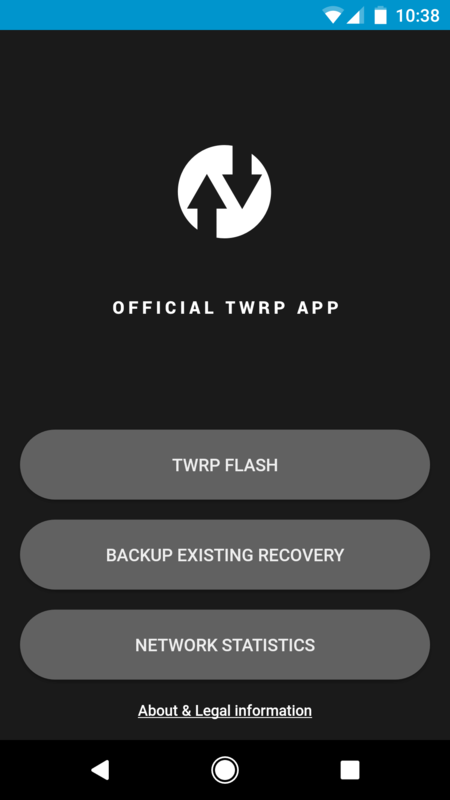 Please note that TWRP has a team of developers working on the recovery project who also have regular life and job so TWRP will get it’s support eventually but an estimated time of arrival has not been given yet. We will let you know more about this update whenever it is finally available. Stay tuned and happy flashing.